We apologize. The first 10 minutes of the sermon were accidentally deleted. Please contact the church for the notes. We apologize. There are some audio difficulties in the first six minutes of this sermon. 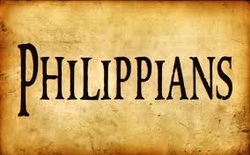 Philippians 1:7-8 - " Loving each other with the affection of Jesus Christ"